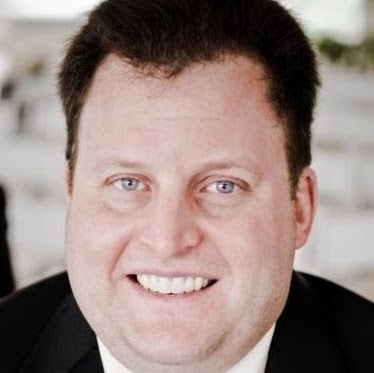 Will Workplace by Facebook soon enable users to share the content of their screens? 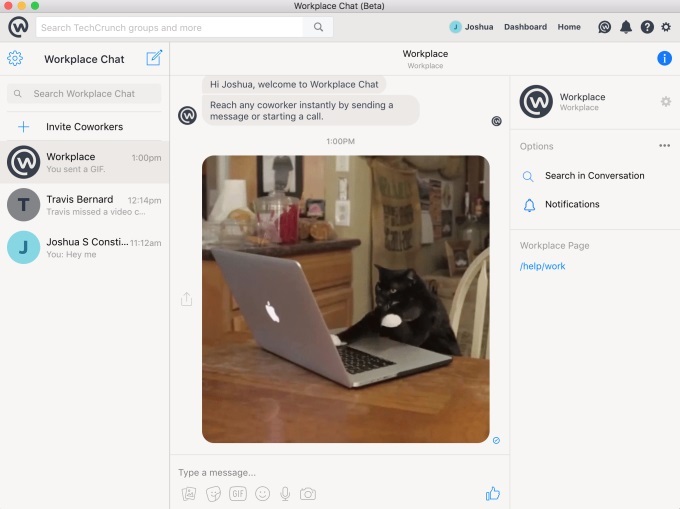 Josh Constine of TechCrunch discovered a Workplace Chat application for Workplace by Facebook, for desktop PCs and Macs, which contained a feature allowing users to share their screens with each other. Constine shared the screenshots above and below. Constine spotted download links for beta versions of Workplace Chat on this Workplace by Facebook help page, and he reported that the app works like the dedicated website for Workplace Chat, which was based on Messenger.com. 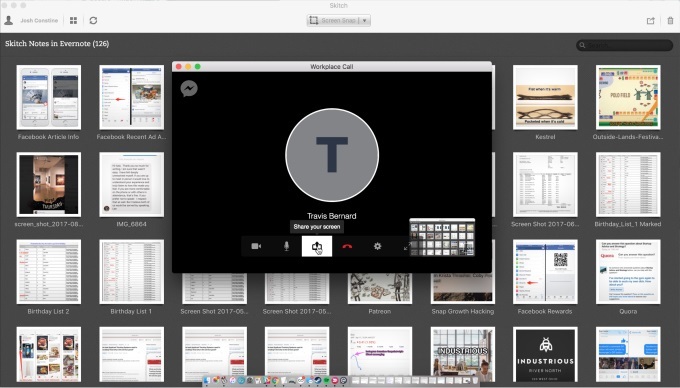 Users have access to a dashboard including all conversations, searching by text and sharing of photos, videos, voice clips, emoji, GIFs and webcam sessions, and they can also set up desktop notifications. 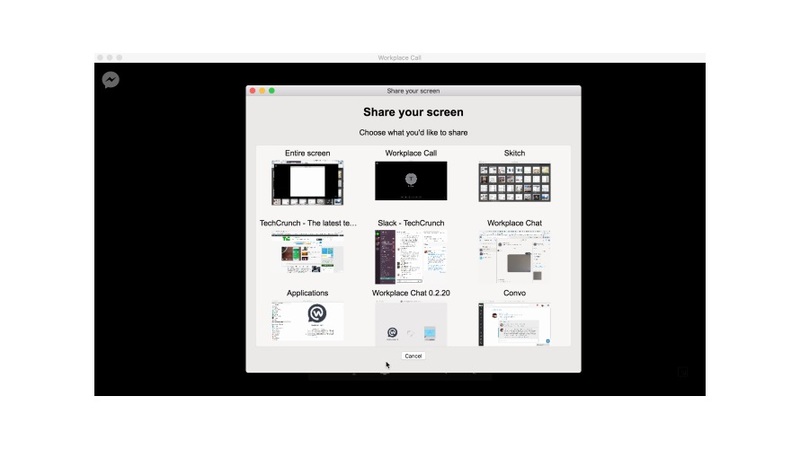 According to Constine, users can choose to share their full screens or screens from specific desktop apps. Workplace by Facebook launched last October, and the suite of productivity products is currently in use at more than 14,000 companies.